Applications of Wireless Sensor Networks (WSN) have been expanded from industrial operation to daily common use. With the pace of development, a good number of state-of-the-art routing protocols have been proposed for WSN. Among many of these protocols, hierarchical or cluster-based protocol technique is adopted from the wired network because of its scalability, better manageability, and implicit energy efficiency. 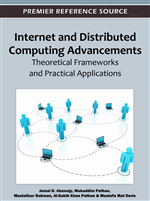 In this chapter, the authors have surveyed Low Energy Adaptive Clustering Hierarchy, Power-Efficient Gathering in Sensor Information Systems, Adaptive Periodic Threshold-Sensitive Energy Efficient Sensor Network, and Hybrid Energy-Efficient Distributed Routing Protocols. These protocols exhibit notable characteristics and advantages compared to their contemporaries. Again, context aware computing and applications have been greatly emphasized in recent articles by renowned technologists. This approach is considered as a momentous technology that will change the way of interaction with information devices. Accordingly, context aware clustering technique carries a great deal of importance among WSN routing protocols. Therefore, the authors have investigated noteworthy context aware routing protocols such as: Context Adaptive Clustering, Data-Aware Clustering Hierarchy, Context-Aware Clustering Hierarchy, and Context-Aware Multilayer Hierarchical Protocol. Their investigation and analysis of these protocols has been included in this chapter with useful remarks. Context awareness is considered an integral part of Body Sensor Networks (BSN), which is one kind of WSN. Thus, the authors have also discussed issues related to context aware techniques used in BSN. Advancement of Micro-Electro-Mechanical Systems (MEMS) and wireless networking has led to a sort of revolution in the development of sensor technology. Sensor nodes are getting smaller in size and smarter in functionality. Each of these sensors generally includes one or more sensing units, a data processing unit and a wireless communication unit. The sensing unit or units of a sensor node measure ambient conditions of surrounding and transform those into an electrical signal. Such ambient conditions may be temperature, humidity, acoustic, seismographic data of the environment, or may be motion, direction of living beings. Based on application and capability, that electrical signal is processed to reveal some vicinity properties or compressed to reduce communication overhead. Then, the communication unit wirelessly sends such data towards a central control directly or via other sensors. This central control is often regarded as a sink or base station. In this way, these sensor nodes form an ad-hoc network which is referred as Wireless Sensor Networks (WSN). Some physical characteristics of sensor nodes often differ depending on applications. However, a common characteristic of WSN is that the deployment is usually in physical environment. As the sensory range is quite limited, a large number of sensors are needed to be deployed to get complete area coverage or accurate information. Regarding the size and weight of sensor nodes, they are needed to be as small as possible. There are commercially available sensors the size of a matchbox (Crossbow Inc., 2010) or even the size of a coin (Crossbow Inc., 2010) as shown in Figure 1. In the military domain, cheap and cubic centimeter sized sensor nodes are aimed to be developed which can be heavily deployed in larger areas (Warneke, et al., 2001). And, the weight is becoming more suitable for easy deployment and longer sustainment. For commercial applications, cost is a major issue. Costs already have fallen sharply compared to products a decade ago. With rapid technological advancement, it is expected that sensors will be cheaper and more affordable in the near future.